The approved budget for New York State Fiscal Year 2020, which runs from April 1, 2019 to March 31, 2020, includes two provisions that increase the Real Estate Transfer Tax in limited instances. Six experts on land use and preservation convened last Friday for an in-depth conversation that came to several conclusions - among them that there are multiple types of both development and preservation, that development is not necessarily at odds with preservation, and that the East End needs to strike a balance between them while planning for changes like sea level rise and other environmental concerns. As you may be aware, the title industry has been involved in litigation with the New York State Department of Financial Services (“DFS”) since last year regarding Regulation 208, Title Insurance Rates, Expenses and Charges (“Regulation 208”). Please read below to see the current status of Regulation 208. 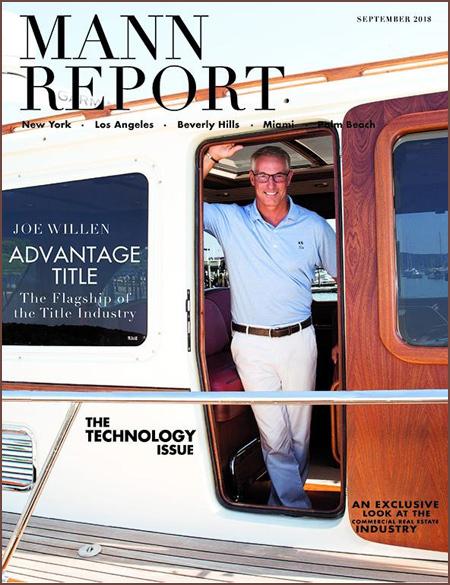 It really shouldn’t be surprising that Joseph M. Willen, president and CEO of the Advantage Group, is an avid boater: he knows all about adapting to the currents, going with the flow, and navigating storms. That’s how a then 25-year-old could feel comfortable founding his own title insurance company in 1987, and then diversifying and growing it throughout major real estate cycles. But the title industry wasn’t in his original plan. Navigating through the various stages and formalities of real estate often requires guidance. With each market being unique to its area and local government, buyers work with attorneys, brokers, developers, and more to not just close a deal but gain a thorough understanding of the possibilities, and limitations, of different types of properties. 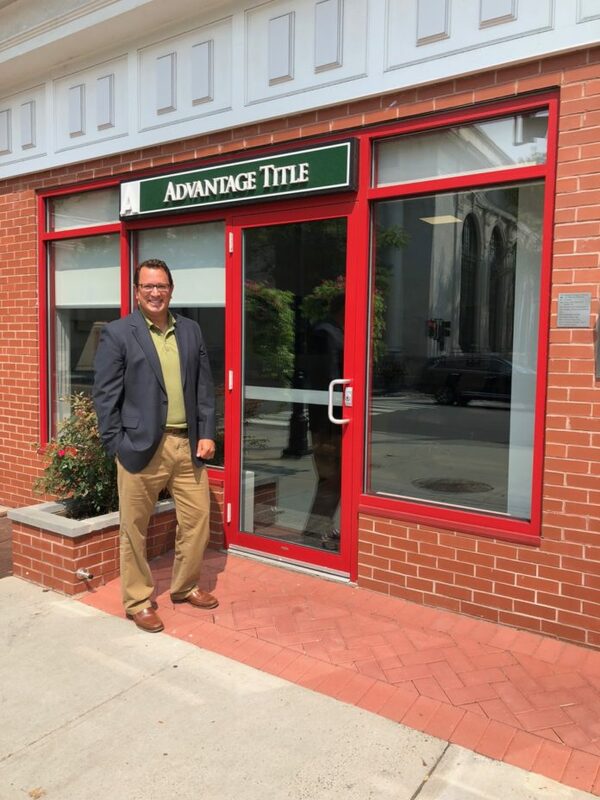 As a former Southampton Town Councilman, Advantage Title senior vice president Christopher Nuzzi shares a unique insight into this complex process. Debra Thompson has been elected President of the Women Economic Developers of Long Island and Christine Favara Monti was recently named one of Real Estate Weekly’s Leading Ladies 2018. On March 19, 2018, the United States Department of the Treasury's Financial Crimes Enforcement Network issued an extension ("Extension") of the Geographic Targeting Order ("GTO") reporting requirements in effect since September 22, 2017 ("September 22 GTO"). A copy of the final form of Extension that was sent to all title insurance companies can be found here. There are no substantive revisions to the September 22 GTO. In October, the New York State Department of Financial Services (“DFS”) published the final version of Regulation 208 (“Regulation”) which became effective on December 18. A full copy of the Regulation can be viewed here. On December 19, the DFS published a notice on its website providing for a partial stay of the Regulation limited to Section 228.2. This partial stay is in effect until February 1, 2018. All other sections of the Regulation are currently in effect. It is important that we advise you of specific sections of the Regulation that will impact Advantage’s relationship with you. A brief summary is provided below. As detailed in Industry Bulletin 2016-01 and Industry Bulletin 2016-02, the United States Treasury Department’s Financial Crimes Enforcement Network issued Geographic Targeting Orders (“GTO”) requiring “…U.S. title insurance companies to identify the natural persons behind companies used to pay ‘all cash’ for high-end residential real estate…” located in the Boroughs of New York City and designated counties in numerous states. The prior GTO, scheduled to expire on February 23, 2017, has been extended by a new Order to cover closings taking place between February 24, 2017 and August 22, 2017. There is no change in any respect to the provisions or conditions of the prior GTO. Please refer to Industry Bulletin 2016-02 for details regarding the prior GTO. As previously detailed in Advantage Title Industry Bulletin 2016-06 (“Bulletin 2016-06”), as of September 30, 2016, Chapter 394 of the Laws of 2016 eliminated the exemption from the additional tax (“AT”) component of the mortgage recording tax (“MRT”) of $0.25 per $100.00 of mortgage debt (or $0.30 per $100.00, for those counties within the Metropolitan Commuter Transportation District) applied in mortgage transactions involving an Industrial Development Agency (“IDA”) and other agencies or organizations created under the General Municipal Law or Public Authorities Law. As enumerated in Bulletin 2016-06, Governor Cuomo noted in his Approval Memorandum that the legislature had agreed to extend the effective date of the Legislation to July 1, 2017; but, such change would need to be approved by a chapter amendment to the Legislation. On December 14, 2016, the Nassau County Legislature approved an increase of the Tax Map Verification Letter (“TMVL”) fee from $225.00 to $355.00 (“TMVL Fee”) per document. The TMVL is a prerequisite to recording an instrument affecting real property with the Nassau County Clerk’s Office. The TMVL Fee will be required by the Nassau County Department of Assessment (the “Department”) as of January 1, 2017. Advantage Title (the “Company”) will begin collecting the TMVL Fee for all closings occurring on or after December 21, 2016. In the event the Department does not collect the TMVL Fee at the time of issuance of the TMVL, the Company will refund the client $130.00 per document. Effective September 30, 2016, Chapter 394 of the Laws of 2016 amended, amongst other sections of the laws of New York, Sections 252 and 253 of the Tax Law (collectively, the “Legislation”). The Legislation eliminates the exemption from the additional mortgage recording tax of $0.25 per $100.00 of mortgage debt (or $0.30 per $100.00, for those counties within the Metropolitan Commuter Transportation District) applied in mortgage transactions involving an Industrial Development Agency (“IDA”) and other agencies or organizations created under the General Municipal Law or Public Authorities Law. A link to the Legislation is provided here: http://www.advantagetitle.com/bulletins/assets/2016-06-section-252-253.pdf. The Suffolk County Clerk (the “Clerk”) requires that all documents presented for recording or filing must have the District, Section, Block and Lot verified by the Real Property Tax Service Agency (the “Agency”) prior to the submission of the instrument for recording or filing with the Clerk’s office. Advantage Title issued Industry Bulletin 2016-02 (“Bulletin”) on August 30, 2016. Please note, capitalized terms not otherwise defined herein shall have the respective meanings assigned to such terms in the Bulletin. Advantage has received updated information regarding Note B after the 6th standard in the section of the Bulletin entitled “WHAT TRANSACTIONS ARE SUBJECT TO THE ADDITIONAL GTO?”. FinCEN is now taking the informal position that an attorney escrow check is not considered a “business check”; therefore, an attorney escrow check does not fall under the definition of a Monetary Instrument. However, if the source of funds is a Monetary Instrument, the subsequent use of an attorney escrow check to pay any portion of the purchase price previously funded through a Monetary Instrument will not result in an exception regarding the method of payment. For example, if the down payment on contract is made via a certified check payable to Seller’s counsel, the subsequent disbursement of those funds by Seller’s counsel via an escrow check will not exempt the purchase from a Covered Transaction assuming all other criteria are met to trigger a reporting requirement. The “chain” of sale proceeds must fall outside the definition of Monetary Instrument. The City of New York is reducing penalties and interest for many violations issued by the Department of Sanitation, Department of Buildings, and other city agencies. Violations must have gone to judgment. This means the City of New York has taken the legal step of filing a public record of the liability in court for the entire amount due, plus additional interest. Criminal violations and violations over $25,000 are excluded. Other limitations, exclusions and eligibility requirements apply. On January 13, 2016, the United States Treasury Department’s Financial Crimes Enforcement Network (“FinCEN”) issued two Geographic Targeting Orders (collectively, the “Original GTO”) requiring “certain U.S. title insurance companies to identify the natural persons behind companies used to pay ‘all cash’ for high-end residential real estate in the Borough of Manhattan in New York City, New York, and Miami-Dade County, Florida.” Please refer to Industry Bulletin 2016-01 issued by Advantage Title on February 26, 2016.